TRENTON, N.J. (AP) — Republican Gov. Chris Christie fired one of his top aides on Thursday and apologized repeatedly for his staff's "stupid" behavior, insisting during a nearly two-hour news conference that he had no idea anyone around him had engineered traffic jams as part of a political vendetta against a Democratic mayor. "I am embarrassed and humiliated by the conduct of some of the people on my team," Christie said as he addressed the widening scandal, which could cast a shadow over his expected run for the White House in 2016. The famously blunt governor fielded dozens of questions from reporters with uncharacteristic patience and at times a sorrowful tone. Christie, who had previously assured the public that his staff had nothing to do with the September lane closings that caused major backups at the George Washington Bridge, said he fired Deputy Chief of Staff Bridget Anne Kelly "because she lied to me" when he demanded weeks ago that anyone who knew anything about the episode come forward. The gridlock in Fort Lee delayed emergency vehicles, school buses and countless commuters for four days. Kelly was the latest casualty in the scandal. 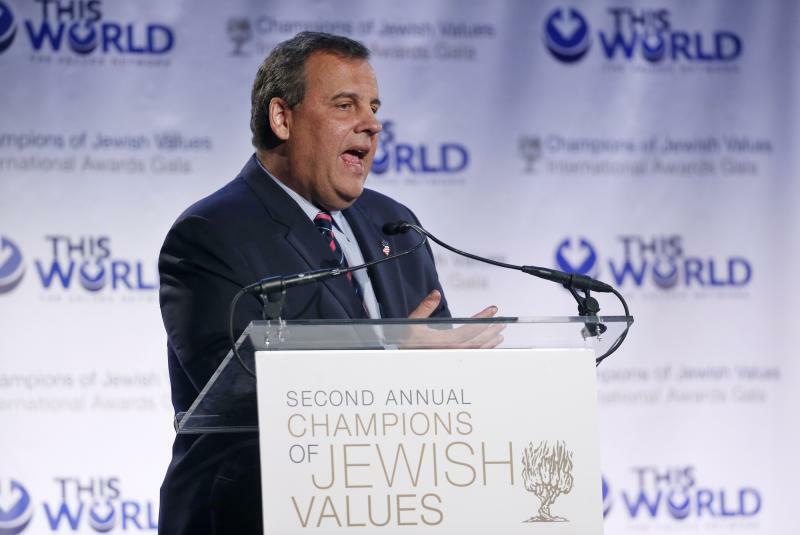 Two other top Christie appointees have resigned in the past few weeks. The investigation broke wide open on Wednesday, with the release of emails and text messages that suggested Kelly arranged the traffic jams to punish Fort Lee's mayor for not endorsing Christie for re-election. — The chief federal prosecutor in New Jersey, U.S. Attorney Paul Fishman, said he is "reviewing the matter to determine whether a federal law was implicated." The Legislature also is investigating. Using public resources for political ends can be a crime. Democratic Connecticut Gov. Dannel P. Malloy, a former prosecutor and mayor, said there was "no doubt" a crime was committed. — David Wildstein, a Christie appointee who resigned from the Port Authority of New York and New Jersey after being implicated in the scandal, was found in contempt by a legislative committee on Thursday after he invoked his Fifth Amendment right against self-incrimination and refused to answer questions. The Port Authority operates the bridge and other area bridges and transit hubs. — Christie traveled to Fort Lee later in the day and apologized in person to Mayor Mark Sokolich. Christie said they had a "productive meeting," and Sokolich told The Record newspaper the governor had taken "a big step" toward regaining the trust of Fort Lee's residents. — Six state residents, though, filed a federal lawsuit against Christie, the state, the Port Authority and others, calling the traffic jams "deliberate actions." The political-payback allegations turned a local traffic furor into a national issue and raised questions about Christie's leadership and integrity as he lays the groundwork for a White House bid. Democrats at the national level have seized on the scandal as more evidence that Christie is a bully. The governor brushed off questions about the effect on his presidential prospects, saying he was too busy governing the state to think about that. "I am absolutely nowhere near beginning that consideration process," he said. "I haven't even been sworn in for my second term yet." Afterward, some political analysts on both sides of the aisle said Christie would probably pull through OK — provided there are no more surprises. Democratic operative David Axelrod complimented Christie for handling the news conference "as well as he could," writing on Twitter: "Unless smoking gun turns up tying him to scheme, or others arise, he lives 2 fight another day." Besides firing Kelly, Christie cut ties to former campaign manager Bill Stepien, asking him to withdraw a bid to become the next state GOP chairman. The governor said he was disturbed by the "callous indifference" displayed by Stepien in the emails released Wednesday. Stepien had widely been seen as a potential campaign manager for Christie if he runs for president. Christie said he is still looking into the traffic jam episode and will take action against other senior staff members if it is warranted. Over and over, Christie took responsibility for the affair by virtue of his role as governor while simultaneously blaming his staff for doing something "stupid" and for not telling him the truth when he asked. He said he saw the emails and text messages for the first time on Wednesday and was "blindsided" by what he read and outraged by the callous language. He said he was left "heartbroken" and "betrayed" by his tight-knit circle of advisers. "I had no knowledge or involvement in this issue, in its planning or execution," Christie said of the lane closings. "And I am stunned by the abject stupidity that was shown here." Kelly hasn't commented. Christie said he hadn't spoken to her or asked to hear her side of the story since the emails were released, saying he didn't want to be accused of trying to influence a possible witness. "Time for some traffic problems in Fort Lee," Kelly wrote in August in a message to Wildstein. A few weeks later, Wildstein closed two of three lanes connecting Fort Lee to the George Washington Bridge, which runs between New Jersey and New York City and is one of the busiest bridges in the world, crossed by more than 100 million vehicles a year. In the back-and-forth emails and text messages that followed, Christie loyalists gloated over the traffic jams and called the Fort Lee mayor "an idiot" and "this little Serbian." For weeks, Christie had asserted that the closings were not punitive but were part of a traffic study and that no one on his staff was involved. On Thursday, he acknowledged that was a lie, that his staff misled him. He said he still had no idea whether there even was a traffic study. Christie said he believed his staff in part because he had never heard of Sokolich and had no idea the Christie camp was even seeking the Democrat's endorsement. Still, the governor said: "I am responsible for what happened. I am sad to report to the people of New Jersey that we fell short."